Businesses say the north-west has been overlooked when it comes to job-creating infrastructure. DESPITE MILLIONS OF euro being pumped into the development and promotion of the Wild Atlantic Way corridor, many Sligo businesses have felt little benefit from the pick-up in visitors. A group called Revive Northwest has been formed to push for the region’s rejuvenation, starting with a motorway that would better connect the town and county to the major Irish urban hubs. Anthony Gray, the campaign’s co-organiser, said the area has been neglected by successive governments. “I’ve been highlighting the pure neglect of rural Ireland and the government turning their back on the north-west region up here. We’re struggling up and all we want to do is promote the region,” he told Fora. Gray, who is also the president of the Restaurants Association of Ireland, established the group with Brendan Tierney, who owns a driving school and marketing agency in Sligo. He added that the new motorway his group is calling for would give the region’s industrial and tourism sector “a fighting chance” to compete for investment. In a little over two weeks, the group will march on the Dáil with a petition to deliver its motorway message to the government. When it comes to the key tourism trade, Sligo is one of the counties that has benefitted in recent years from the investment pumped into marketing the Wild Atlantic Way corridor to attract tourists. But some businesses in the area believe that funding dedicated to marketing the area hasn’t gone far enough – and the region remains let down by its poor transport networks. Figures from a Fáilte Ireland survey published last year showed that nearly five million people visited Ireland in 2015. However, only around 4% of those visitors travelled to Sligo, which has the smallest share of international tourists of any county on the Wild Atlantic Way corridor. “I think it has been a fantastic initiative, but again, the one thing holding us back is a proper infrastructure. If you were able to drive from Galway to Sligo in an hour instead of two because of the roads, more people would come,” said Gray. David McGowan, who is developing the Quirky Nights Glamping Village in Enniscrone, said his town has seen little benefit from the tourism push. “We have felt no effect whatsoever. You see the odd foreign mumber plates passing through, but they’re not staying,” he said. One way around the lack of infrastructure in the area, according to McGowan, would be to lure transatlantic carriers to Knock Airport in County Mayo. Before Christmas, he joined his local enterprise office and other business leaders from the area in a trip to the US to explore the viability of establishing a link. “There are 100,000 Irish in south Boston and we can bring them over here. Someone at the top is not pushing the right button. In 2007, the now-defunct airline Flyglobespan operated a number of flights between Knock Airport and the US, but the service was terminated before the carrier was declared bankrupt in late 2009. Not everyone believes the region is under-performing, however. Eamonn Cunningham, owner of EJ Menswear in Sligo town, said he is seeing the effects of the Wild Atlantic Way, even if the figures show the region has lagged behind. For his part, Cunningham said he doesn’t want to get bogged down in the negatives. He would prefer to use the Revive Northwest campaign to celebrate what the region has. 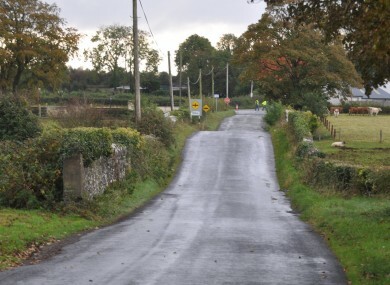 While the Revive Northwest campaign is currently united by the goal to secure a motorway for the region, Gray said there are other issues it will raise at the start of February – such as the spread of job creation to rural Ireland. “We just want the IDA to start seeing Sligo as an option for these new jobs that are being created,” he said. “All these towns, Galway, Limerick and Cork, they are all progressing way more than Sligo is. All we’re saying is give us a chance. We need to make the whole of Ireland grow together. Last year, Jobs Minister Mary Mitchell O’Connor told the Dáil that a new office is being built in Sligo as part of a €150 million IDA-led investment programme to attract companies to the region. She also said there were seven IDA-sponsored site visits to Sligo in 2014, with the number increasing to 15 in 2015. In the first nine months of 2016, there were a total of 13 visits to the county. However, McGowan said the region is unlikely to attract big investments while the infrastructure – including modern-day necessities like broadband – remained so poor. Email “'Sligo needs a motorway to give it a fighting chance'”. Feedback on “'Sligo needs a motorway to give it a fighting chance'”.